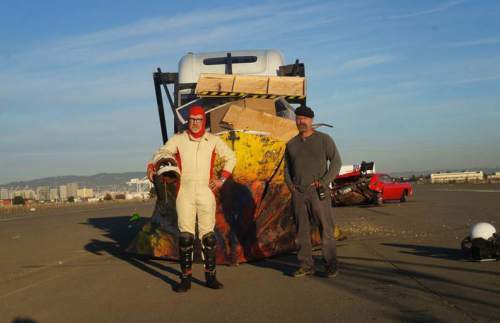 After 14 years and 248 episodes, "Mythbusters"  the longest-running show ever on the Discovery Channel  signs off on Saturday. Adam Savage and Jamie Hyneman have presided over 2,950 experiments, 1,050 myths and 900 explosions  and won seven Emmys along the way. Not surprisingly, fans can expect an explosive finale. In this new series, real-estate agent Damien realizes he&apos;s the Antichrist. New drama based on the Old Testament story of Saul and David. The 4A and 5A title games. A grand jury begins investigating Peter. Astronaut Mike returns and thinks he&apos;s the only one here. This increasingly annoying series returns; Alex testifies before Congress. Caitlyn Jenner&apos;s transgender friends confront her about her sexual preferences and politics. Watch • 10 p.m. Sunday, E!